Eleven athletes from the team were able to help on Saturday, October 20th. We volunteered for about 2.5 hours. We helped in whatever way the staff asked us to. 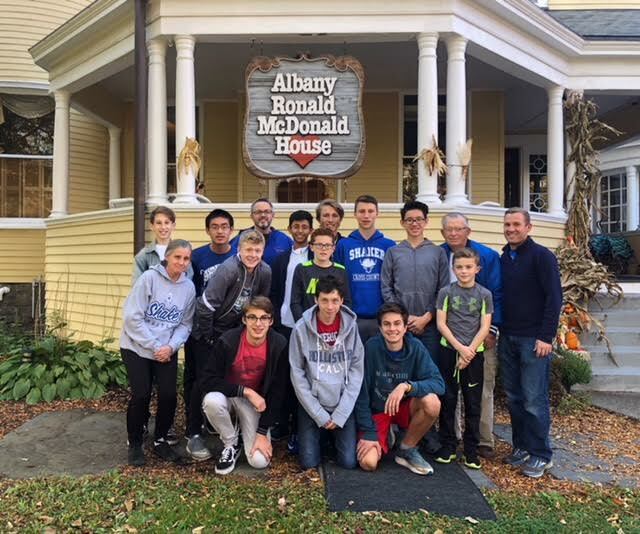 Some members of the group helped by cleaning around the Ronald McDonald House, both outside and inside. 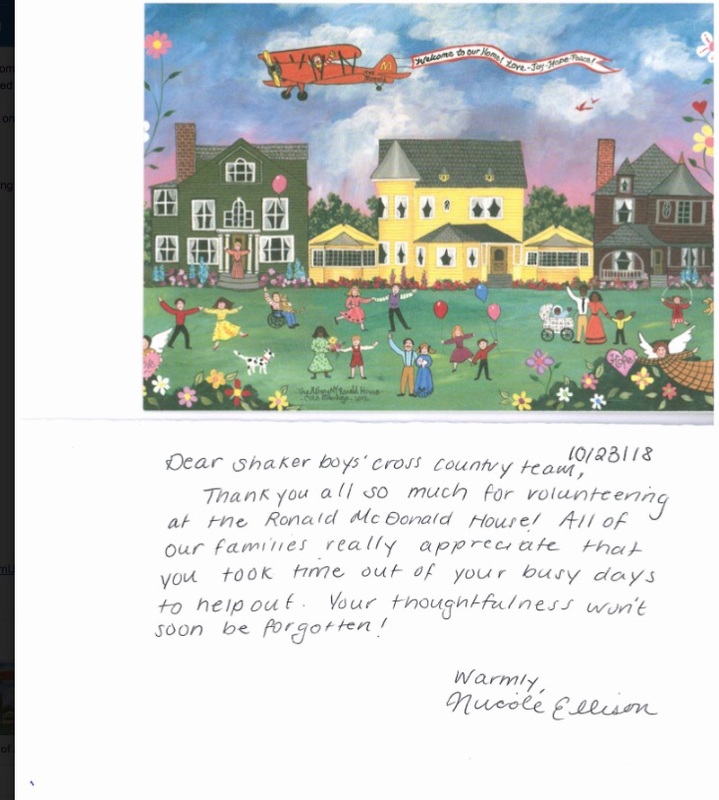 Others helped by loading supplies into vehicles and stuffing envelopes with information about a Ronald McDonald House Charities sponsored reading program for a local elementary school.